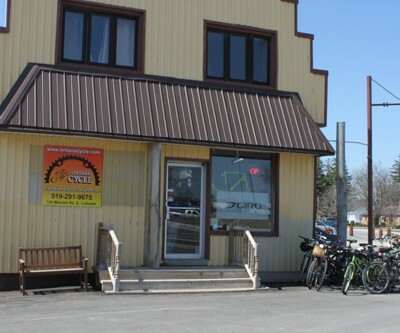 Ontario Cycle has locations in Listowel at 135 Mitchell Rd., S., and in Waterloo at 6-255 Toll Gate Blvd. We have a highly trained service staff, that are WBI , Shimano, Sram, Bionx, Fox Factory trained. We are a family run business, so you are always dealing with one of the owners. We pride ourselves in going beyond the typical repair by informing you, the customer, what can be done to make your riding experience more enjoyable and visit the repair shop less often. We love bikes! And of course, we want to take over the bike world! …but until then, we are happy making sick bikes better. We are your neighborhood bike shop and we want to make bikes easy for you. Don’t want to deal with the hubbub of a big retail store? Call us. Not sure what you need for your bike and you feel dumb asking? Call us. Worried that you’re going to be sold something you don’t need? Call us! Did you try to fiddle with your bike and now can’t make it work right? Call us! Seriously – we are here to help. 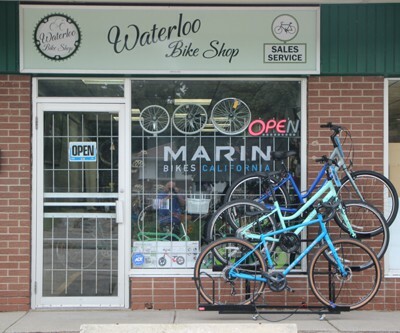 Our business is bikes – both sales and repair. We are never going to try to sell you something you don’t need, and when you DO need something we will give you the best, fairest price we can right off the bat – no haggle necessary! Feel free to ask us questions! Most evenings we are here later than our posted times, so feel free to give us a call. "HOME OF THE LIFETIME SERVICE PROGRAM"